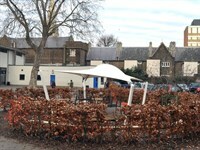 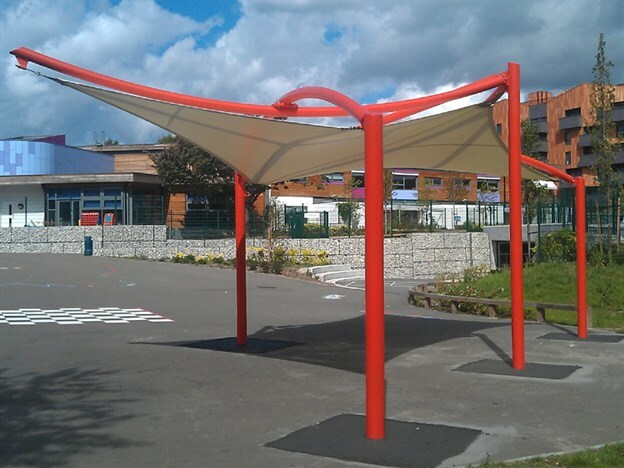 Installed ready for the new school year in September 2011, this Hypar canopy is part of our exterior product range. 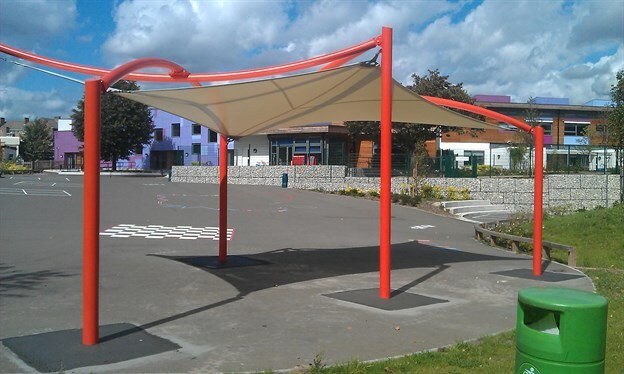 The canopy at Berger School is 4m x 8m and provides a good sunshade area whilst still being open for clear views through. 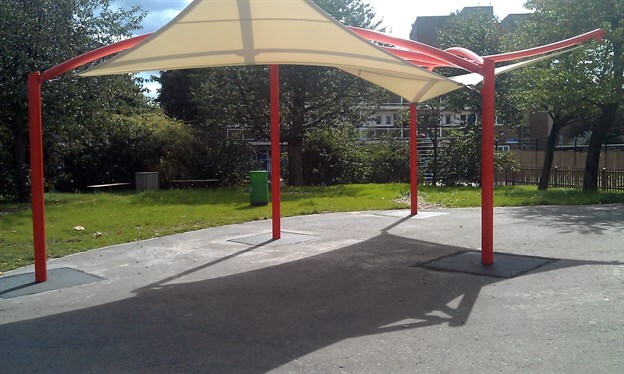 Only four legs are required to give this good area of rectangular protection. 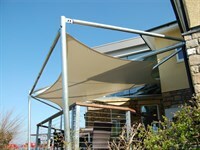 Lighting could be combined with this structure for indirect up-lighting.